Each new book in this series is a surprise and this one is definitely a delight. When city financier Sam’s conscience gets the better of him, he rejects his worldly goods, buys a van and some tarot cards, and heads to Cornwall only to be arrested for a ritual slaughter on the day he arrives. In Porthkennack, someone has been terrorising Ruan’s niece and her teenage friends. When his aunt’s sheep is slaughtered, he needs to find the culprit – but he can’t quite believe that Sam, a gentle English visitor, is to blame. All the best bits of this series are present in this newest book. Once again, the intertwined family clans of this small seaside town come to life in full colour. Ruan’s family, the Gwynns, are a close and only slightly eccentric clan. The Lusmoores reappear – accompanied as always by lore, myth, and the fear of locals. Sam and Ruan are both well-developed characters and I loved the changes in Sam’s life as he settled into Porthkennack. This story is as much a mystery as it is a romance. I really loved Ruan and Sam together and I also really enjoyed their search for the person terrorising Porthkennack. There are some thoroughly exciting scenes (and a couple of very cute dogs) at the end. Alex Beecroft was born in Northern Ireland during the Troubles and grew up in the wild countryside of the English Peak District. She studied English and philosophy before accepting employment with the Crown Court, where she worked for a number of years. Now a full-time author, Alex lives with her husband and two children in a little village near Cambridge and tries to avoid being mistaken for a tourist. Alex is only intermittently present in the real world. She has spent many years as an Anglo-Saxon and eighteenth-century reenactor. She has led a Saxon shield wall into battle, and toiled as a Georgian kitchen maid. For the past nine years she has been taken up with the serious business of morris dancing, which has been going on in the UK for at least five hundred years. But she still hasn’t learned to operate a mobile phone. 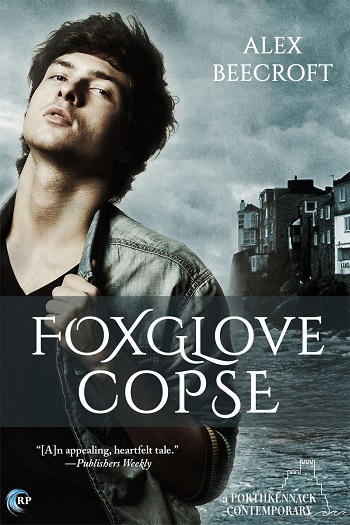 Reviewers on the Wicked Reads Review Team were provided a free copy of Foxglove Copse (Porthkennack #5) by Alex Beecroft to read and review.